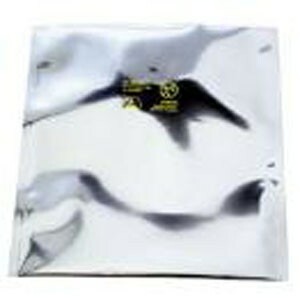 Strong, suitable for vacuum packaging and nitrogen flushing. Static safe: dissipative inner and outer surfaces as well as Amine Free: passes outgassing and corrosion tests. Used for packaging Surface Mount Devices in trays, shipping tubes and reels. Also heat sealable. Printed with ESD and moisture symbols, as well as Dated and lot coded for traceability. Sold in pack of 100 bags.